Not A Typo, Dominique Mustin Won Both The Hurdles & 1600! 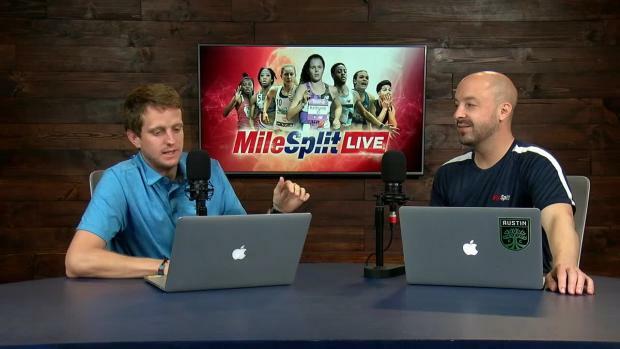 Versatility is often a word used loosely in the track & field world for an athlete that is competitive in numerous events. However, in regards to the likes of North Canyon junior Dominique Mustin, she exhibits this attribute at an incredible level. 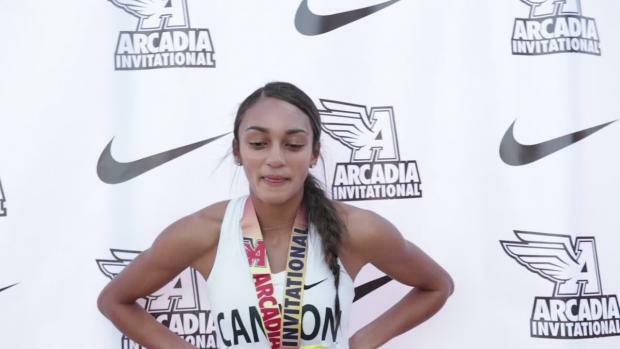 Not too often you see a girl win the 100 meter hurdles at a major invitational then come back later to win the 1600 meter run with national elite performances in both. Throw in a 3rd victory with a 2:12 800 meter time as well to only cement Mustin's remarkable day and display of range. 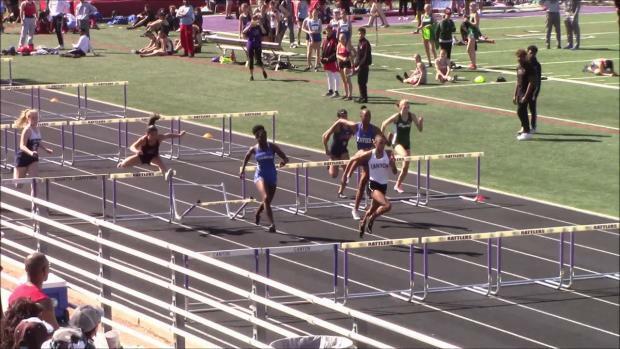 Mustin's day started taking first place in the girls 100 meter hurdles seeded section with a 14.46 personal best, but wind aided clocking, which ranks her 2nd fastest in the entire state of Arizona. Next up on the track, Mustin dropped serious time off her prior best in the 1600 meter run to win the 4 lap event with a 5:12.49 personal best performance. 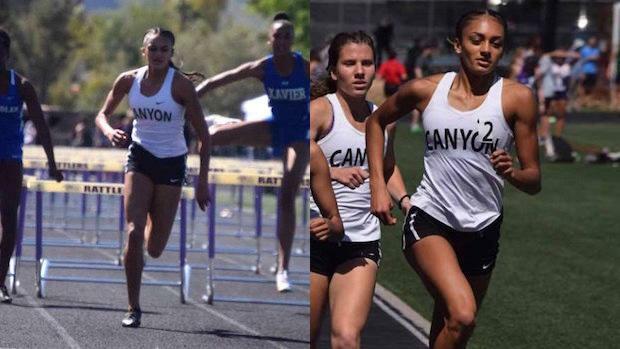 It ended up being a top 3 sweep of the home school North Canyon in the race with teammates Stefana Purkovic (2nd, 5:24) and Makyah Richard (3rd, 5:26). Mustin finished off her day winning her 3rd event of the day at the distance which she was crowned a state champion in as well as finished as the runner-up in at the Great Southwest Classic in the 800 meter run. 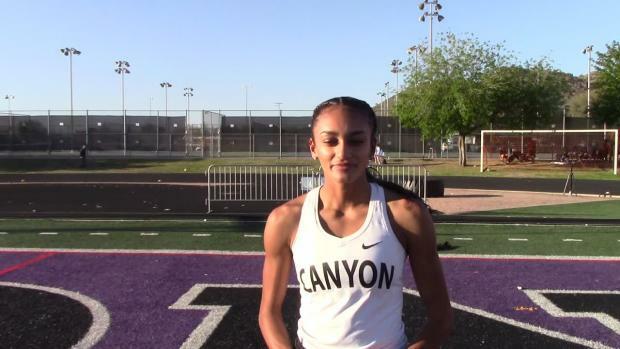 Her 2:12.18 victory at the Rattler Booster Invitational bettered her old personal best prior from the 2018 Great Southwest Classic and ranks 2nd fastest in the state behind only state record holder Morgan Foster. 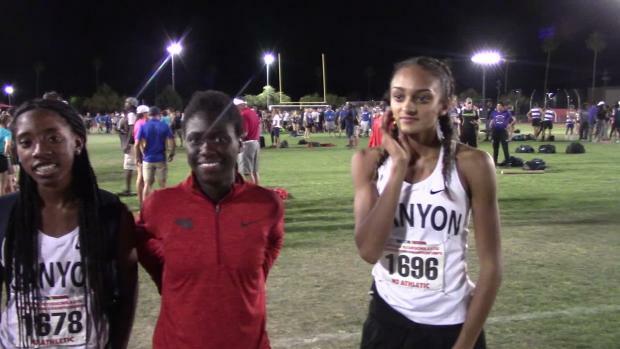 Speaking of state leading times, Mustin is Arizona's state leader in the 400 meter dash with her US #14 55.41 clocking at the Brophy AMDG Invitational on March 7th. 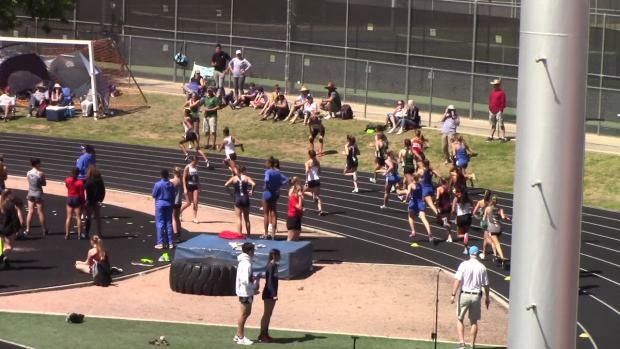 She can't do every event on the same day, but she certainly showed how fast she can run in 3 very different events on Saturday at the Rattler Booster Invitational.